A Chipotle eatery is shown in the Financial District of New York City, Jan. 29, 2015. All employees, including part-time workers, at Chipotle Mexican Grill Inc. are set to get a boost in benefits starting July 1, including paid vacation time, sick pay and tuition reimbursement, the company has announced. Chipotle, based in Denver, Colorado, said the benefits, which were previously offered to salaried employees, will hopefully lead to career-building for workers and help recruit high school and college students, the company's "target demographic" for its entry-level jobs. The move comes as U.S. fast food chains face increasing pressure to increase wages and improve working conditions. A spokeswoman for Chipotle confirmed the policy change to ABC News today. The company has about 53,090 employees, including approximately 48,500 hourly employees, as of December 2014. “It’s an incredible statement by our leadership about how much we want to invest in the best people we have and to keep them with us,” Chipotle recruitment strategy manager JD Cummings said at the annual Summer Brand Camp marketing and human resources conference last week, reported Nation's Restaurant News. The event was sponsored by Dallas-based analytics firm TDn2K. 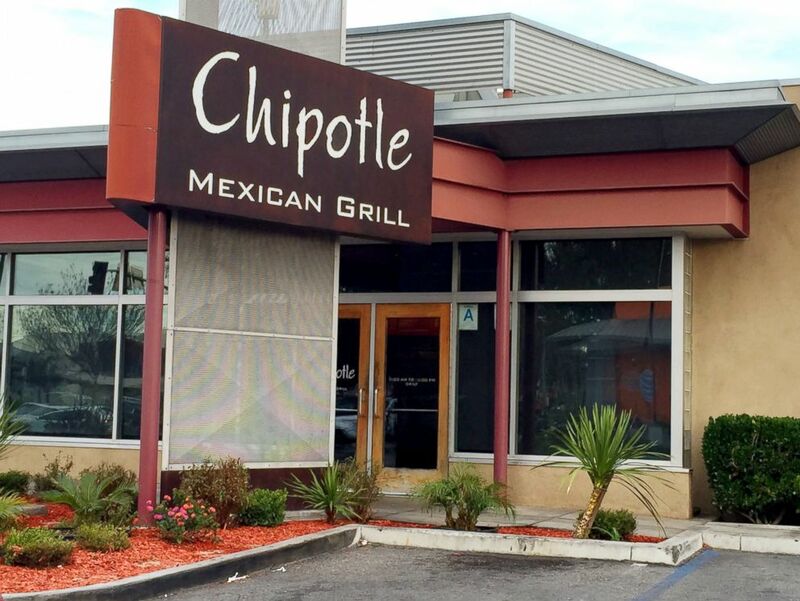 A Chipotle Mexican Grill Restaurant is pictured in Lakewood, Calif., Jan. 26, 2015. One year ago, Starbucks Chairman and CEO Howard Schultz announced a partnership with Arizona State University for its Starbucks College Achievement Plan, which allows part-time and full-time workers to go to college online. In April, McDonald's announced that employees at company-owned restaurants, about 10 percent of its restaurants worldwide, will earn $1 over the local minimum wage, starting July 1. At that time, full- and part-time workers who've worked at the company at least one year will accrue paid time off. By the end of next year, McDonald's projects the average hourly wage for its workers at company-owned restaurants will be more than $10 an hour.